Thanksgiving dinner doesn’t always have to be about a big, juicy bird! 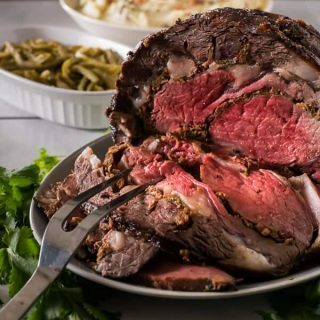 Take it easy on yourself and set a Latin-inspired Chorizo-Stuffed Standing Rib Roast on the table – it’s guaranteed to impress! This post is sponsored by Florida Beef Council. I’m partnering with them (and some friends!) to celebrate #Beefsgiving this fall. Thank you for supporting the brands that make this blog possible. As always, all opinions are my own. I honestly have no idea how it’s November 15th right now. I mean, I’m pretty sure that yesterday I was handing out candy to Trick-or-Treaters. The day before, we were grilling steaks in 98 degree heat. And somehow, suddenly we have beautifully mild 70-ish degree weather, I’m seeing more and more out-of-town license plates, and there are frozen turkeys everywhere at work. Florida fall has arrived, and with it the holidays. Huzzah. He also served as a lovely hand model for these photos. Let’s get the dirty work out of the way first, shall we? After you get the chorizo stuffing put together, it’s time to turn your beautiful cut of beef into a butterfly! Or something like that. 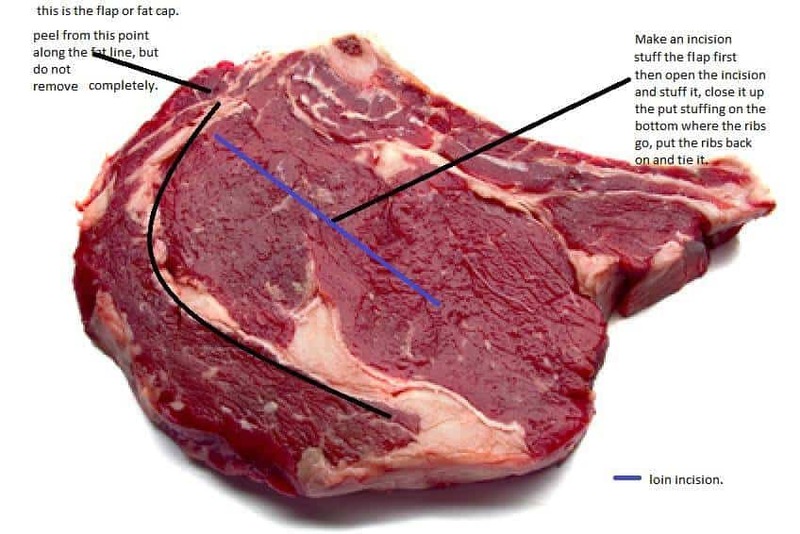 My darling hubby even made an easy-to-follow diagram on how to butcher the beef for stuffing. Isn’t he a love? It’s much easier to explain with visuals. 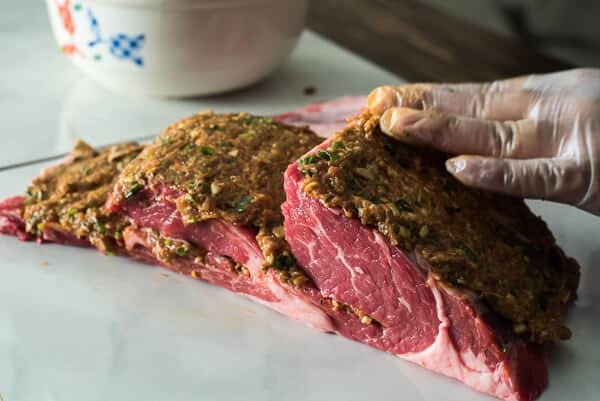 Ask your butcher to bone and tie the roast for you, making the presentation only a tiny bit less spectacular (no fancy ribs in the sky) but way easier to deal with. Remove the ties and bones (which will be loose,) then refer to the image above to carve it for stuffing! So after you’ve carved up that solid piece of meat, get to stuffing, making sure each slice gets plenty of chorizo-y goodness. …like so. We wouldn’t want to lose any of that tasty surprise filling! Don’t forget to place the bones back on the bottom before you tie it up. 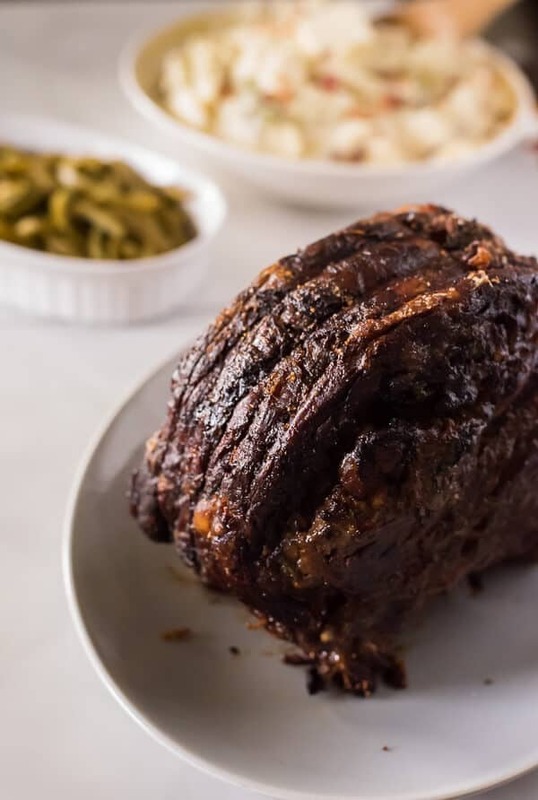 Season it with as much salt and pepper as your little heart desires, pop that beauty into the oven, and start or finish up your sides or dessert. 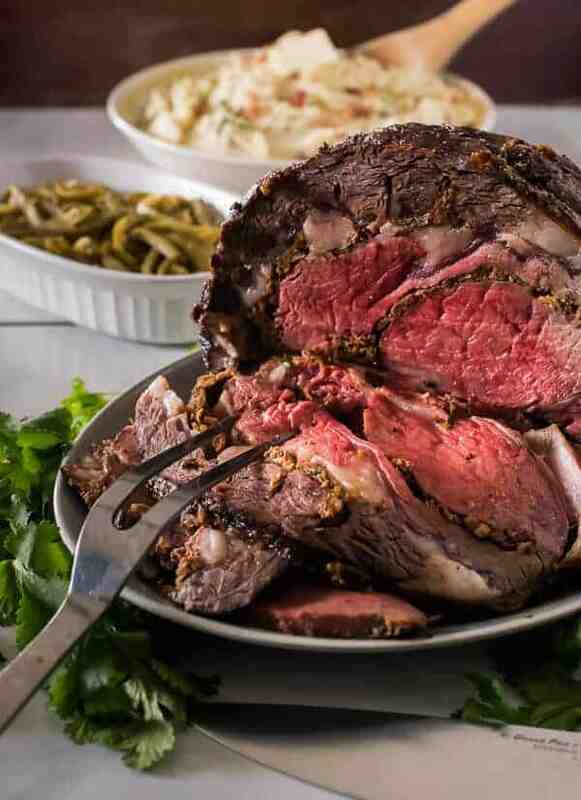 With any luck, you’ll have everything ready in time for the roast to emerge fully cooked and ready to be served. Just don’t taste test too much. You’d hate to not have room for a plate full of this delicious alternative Thanksgiving entrée! Oh em gee, that crackly, crispy top. Swoon. The stuffing (really a mixture of chorizo, mushrooms, herbs, and spices) is truly a unique addition to this otherwise traditional holiday roast. 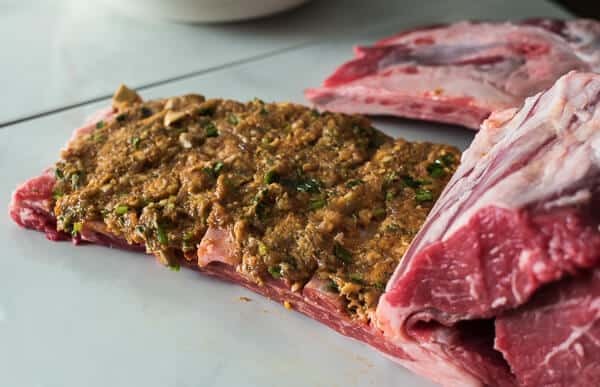 Parsley and garlic have been done – who else but my loving, crazy Dominican husband would stuff sausage in a beef roast?! And people wonder where I get my creativity in the kitchen from. He’s inspired all kinds of crazy flavor combos, and every one has been incredible in its own right. I really did pick a good one, didn’t I? Thanksgiving dinner doesn't always have to be about a big, juicy bird! 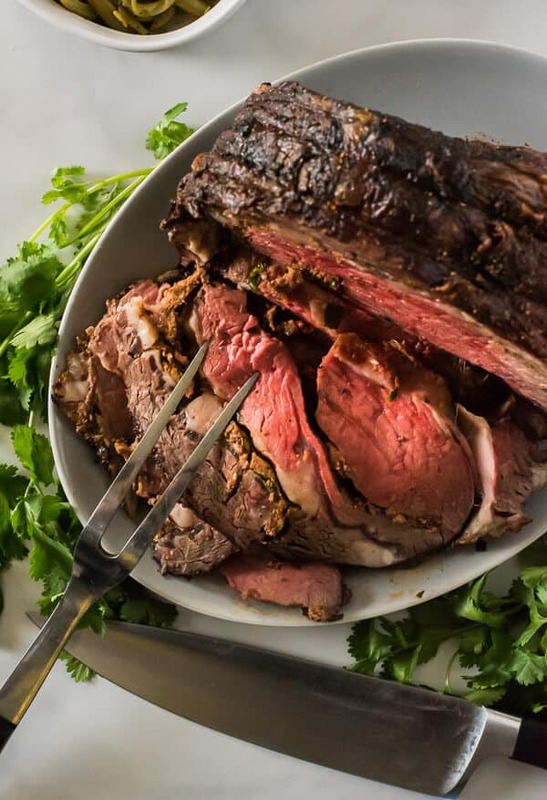 Take it easy on yourself and set a Latin-inspired Chorizo-Stuffed Standing Rib Roast on the table - it's guaranteed to impress! 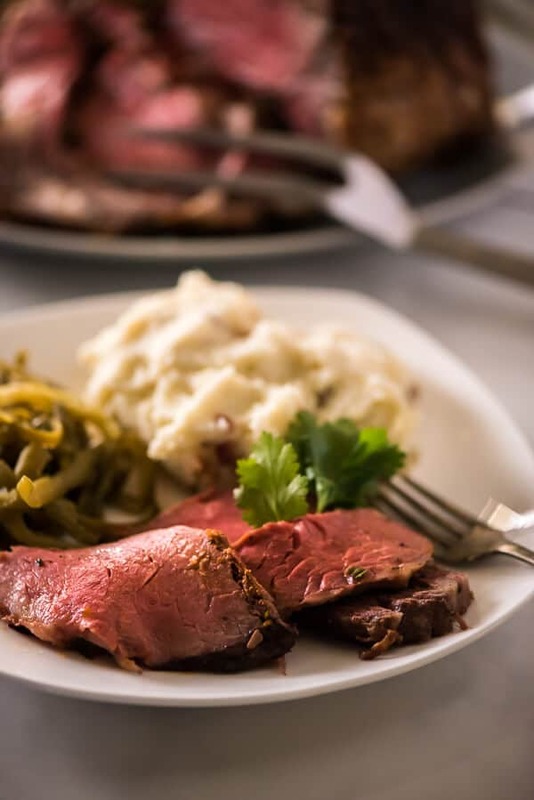 Remove roast from refrigerator 1 hour before stuffing and allow to sit at room temperature. Combine remaining ingredients in a large bowl and mix together until well combined. Place in fridge until ready to stuff roast. Preheat oven to 350 degrees F. Line the bottom of a roasting pan with foil for easier cleanup. Place roast, ribs-side down, on a cutting board. Remove ribs from underneath roast and set aside. Using a sharp knife, pull the flap (fat cap) and cut along the fat line. Do not remove completely. Lay flap to the side. 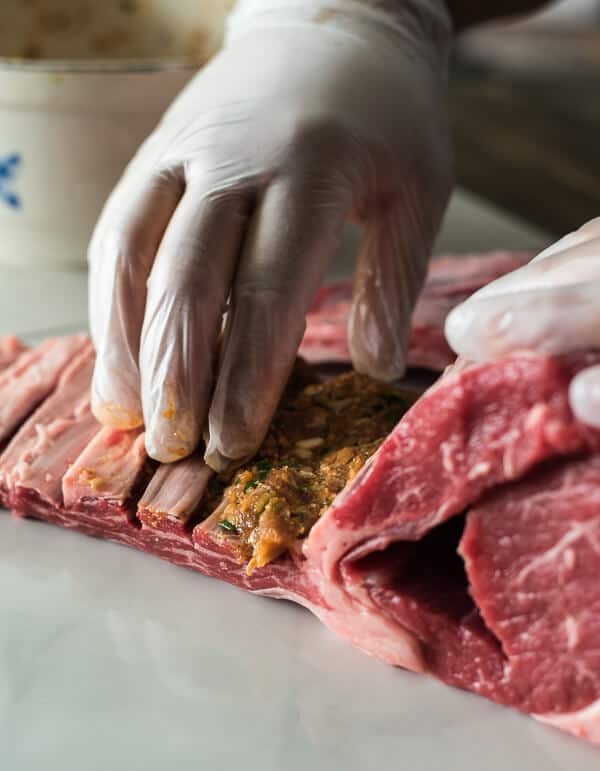 Make a horizontal incision into the loin, cutting about ¾ of the way through. Press the stuffing into the flap in an even layer. Fold the top of the cut loin over and repeat, stuffing an even layer. Close the loin and press another layer of stuffing on the bottom of the roast. Replace the ribs and flip the roast rib-side down again. Tie at 1” intervals with kitchen twine. Season outside of roast with salt and pepper to taste. 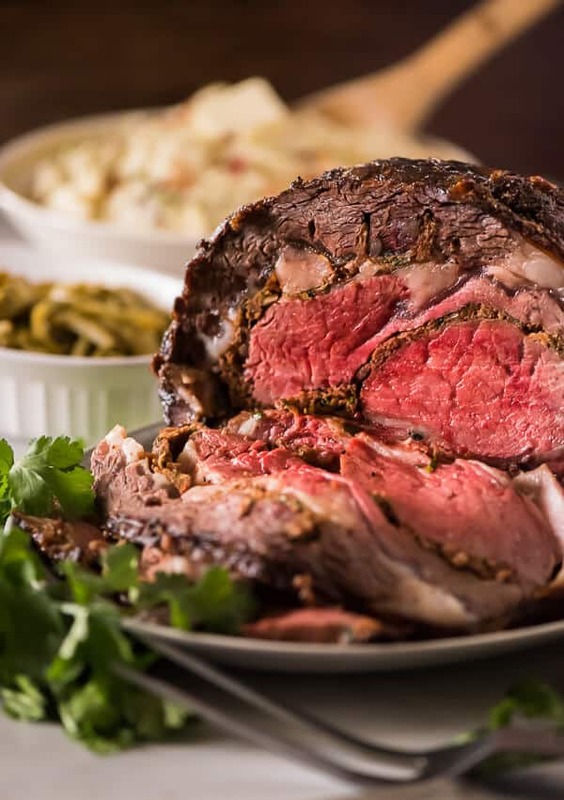 Roast at 350 for 1½ to 2 hours until internal temperature reaches 135 degrees F (for medium rare,) or longer for desired doneness. 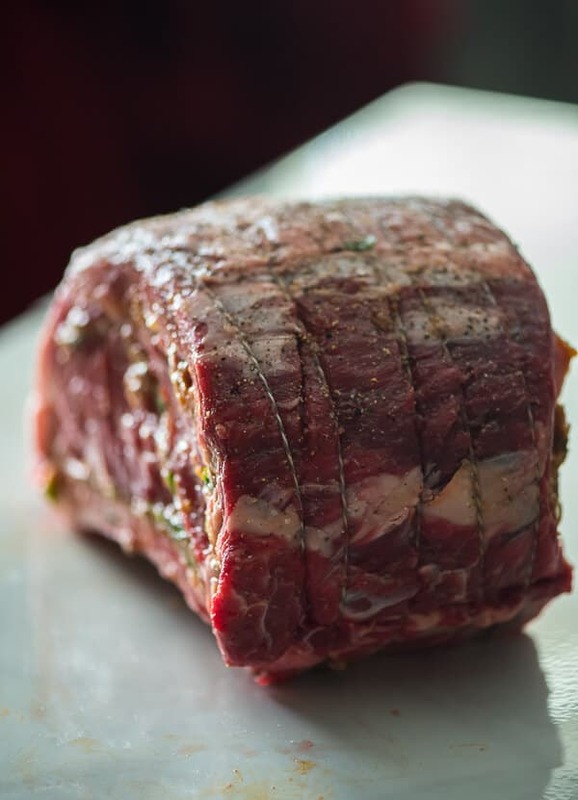 Remove the roast from the oven and allow to rest for 10 to 15 minutes before slicing. Cut away the butchers twine and carve the roast into individual servings. Happy #Beefsgiving from me and my lovely group of meat-atarians! 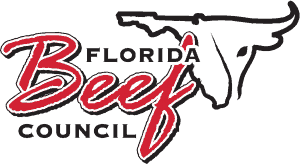 Want to keep up with what’s up in the world of Florida Beef? Follow these fine folks on Facebook, Instagram, Twitter, subscribe on YouTube, and share their recipes on Pinterest! Oh my gosh! This looks amazing – like I need it right now for breakfast amazing! Love the step by step on this, too.